I put this particular post off, writing other posts in the meantime, for a long time, because I simply did not know what I thought your dada loved most about me. I had to finally break down and ask. The first thing out of his mouth is the thing I should've known he'd say, the thing he says first every time this comes up: I love that you're a good mom. He's been saying a version of this since we first started dating. When we first met, I had three cats. (You know Sterling, Spot, and Sammi.) Turns out, your dada was highly allergic. His eyes were severely swollen and red, the sneezing was nearly unbearable, and he was in utter misery. I headed out to get him all the best over-the-counter medicines money could buy and came back to care for him. He always says that is when he first knew I'd be a good mom. He has said over and over that one of the things that made him fall in love with me was that he could tell I'd be a good mom. This is something that was so important to him, because he didn't have that in his life growing up. You and I have talked, sometimes Dada has chimed in, about Dada's brain and that it works differently. He has Borderline Personality Disorder. 99% of the time, that is brought on by poor parenting. His brain thinks differently, making his life considerably harder than it should be, because he didn't have a very good mama or dada. So, when it came time to find a partner with whom he would share a life and raise a family, it was of the utmost importance to him that he found someone who would be a good mom to the child he knew he'd love more than he ever knew possible. As a result of your dada's BPD, he struggles to be the parent he wants to be sometimes. He says regularly that he looks to me to be an example to him. I will say, that's a boat-load of pressure. Eeesh! I will also say, though, that being your mama is such an amazing journey and joy that I'll gladly take on a little more of the parenting load while your dada does his best to learn as we all go along. He's working on it, honey. He loves you so dearly. He whispers as much to you all the time. He's working on saying more loudly, showing it more clearly, making it absolutely crystalline to you that he does, in fact, love you with a fervor that he never knew in his own life. Yes, Dada loves that I am a good Mama. Whenever I feel unappreciated, I need to remind myself to read this blog entry. 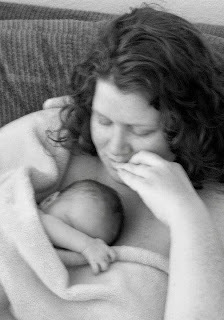 Whenever I feel like a less-than-good Mama, I need to remind myself to read this blog entry. I'm a good mom. You deserve the best, of course, but I hope I will suffice. I do so adore you, my baby. See more in the 30 Things My Son Should Know About Me Series by clicking HERE. *This was all written and shared with Dada's permission, as everything mentioning him is. He has veto power when it comes to sharing his information, but he chooses not to exercise it, especially in cases like these, because he wants you to know the truth and get the full story - your full story.